The sound of the approaching waves. 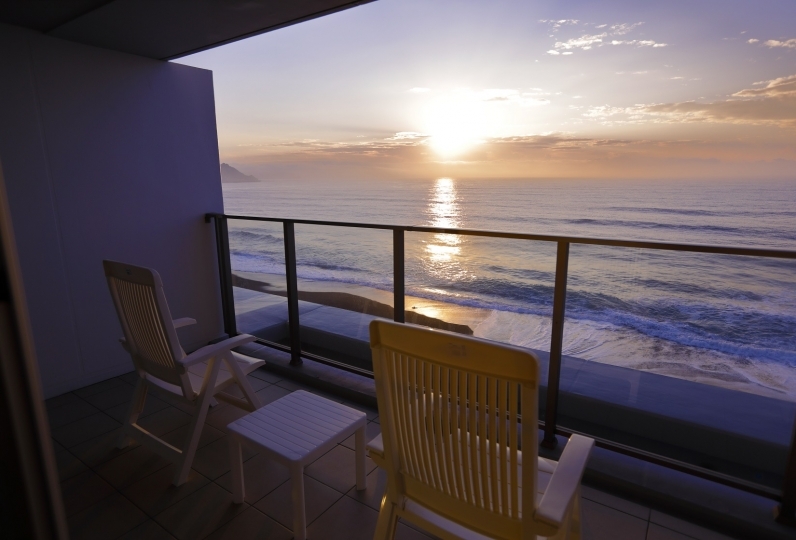 At the Kamogawa Grand Hotel, enjoy a relaxing stay at this hotel that faces the majestic sea of Minamiboso. As you step into your guest room you won't believe the spectacular scenery that awaits you. The big blue Pacific ocean fills the large windows. As the ocean is painted with the color of the morning sun, or the brilliant sunset, or shows you its mysterious side at night, let time idle by as you watch the ocean change its colors. Our spacious rooms are great for families and groups. In addition to ocean views we have rooms with a view of the beautiful green forest and maisonette style rooms. Choose a room that best suits your needs. Enjoy the delicate flavors of Japanese cuisine in your room as you gaze upon the never ending ocean view or enjoy European cuisine overseen by chef Neil Frederick Walter, who also serves as the Executive chef at the British Embassy, in our spacious restaurant that overlooks the Pacific Ocean. Refresh your tired body in our bath, Umi no Kairo, that exudes a traditional Japanese atmosphere. 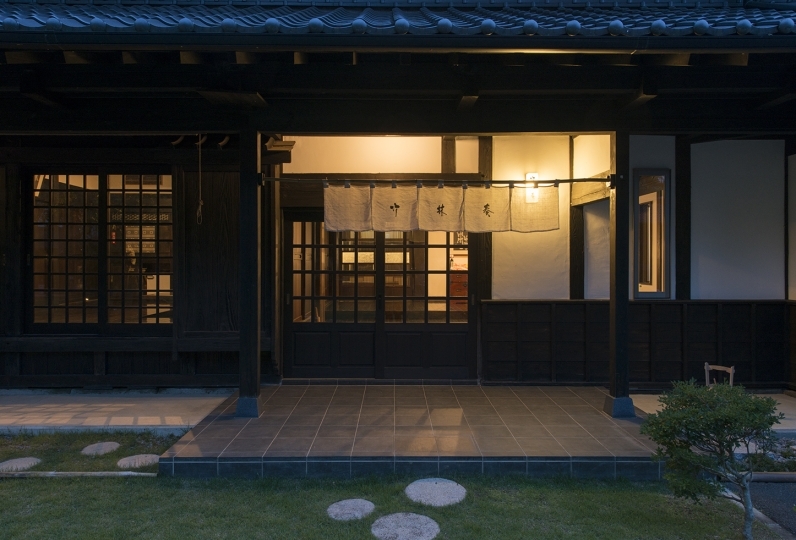 The Japanese essence is carried throughout from the tatami room to the veranda, to the wet veranda, to the garden with an ocean view, and out to the open sea. Soak in the hot bath as you take in the Japanese atmosphere. Minamiboso has so much to offer that one day is just not enough to see it all. Take your time and relax to your heart's content. We await you with the calm sea and a time of healing. The remote control of the TV was very dirty. It was a non-smoking room, so the cigarette smoked by the previous customer on the veranda had fallen. (It is a problem that there is no manner of the customer) There was no place to immediately go out of the bathroom and wash hands. Other than that, it was very good. We ate dinner in the room, but it was a very polite response to those who served. I felt that the delicious meal was even more delicious. It is a bath that is noteworthy. I enjoyed it in various ways. Especially the rental bath was a luxurious space not elsewhere. The quality of the hot springs was also good. We enjoyed calmly the restaurant of supper. Hospitality service is good, selection of wine suitable for meal is good, too much drinking. The concern about the furniture of the room and the peeling off of the wall bothered me and the aging of the facility was negative. Though overall we were satisfied, we had three points of dissatisfaction. 1. When I arrived at the hotel, I got guided to a place where it was very hard to park and eventually parked and parked again at another parking easy place. Because it is not a mini car, I want you to lead to a place where parking is easy from the beginning, without leading to a very narrow place. 2. My yukata yukata and my wife's yukata were also stained, so I had them replaced, so please prepare them properly. 3. Although we had already withdrawn the accommodation fee at Relux at the time of checkout, the room charge was charged double. The spacious 「THE GUNJO RESTAURANT」 overlooks the sea and is especially popular for breakfast and lunch where you can look out at the view that spans the entire window. At dinner time take in the relaxing southern resort feel as you enjoy a delicious dining experience with your special someone. Our cuisine is overseen by Neil Frederick Walter who is also the executive chef of the British Embassy. Come and experience his spectacular cuisine. * Please refrain from wearing your yukata to dine at any hour. * All tables are non-smoking. * We use locally grown Nagasa rice at this restaurant. Our open air bath,「Umi no Kairo」, translates to corridor of the sea and welcomes you to a true experience of an open air onsen bath and the Pacific Ocean. 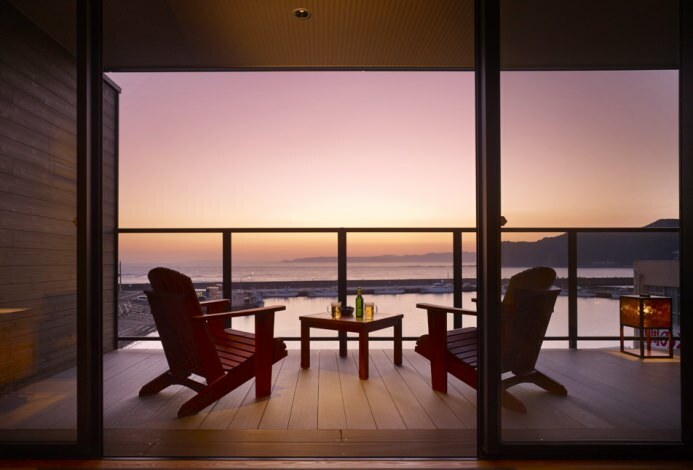 The atmosphere exudes a traditional Japanese bath aura from the tatami room to the veranda, to the wet veranda, to the garden with an ocean view, and to the open sea. Enjoy this truly Japanese bathing experience. 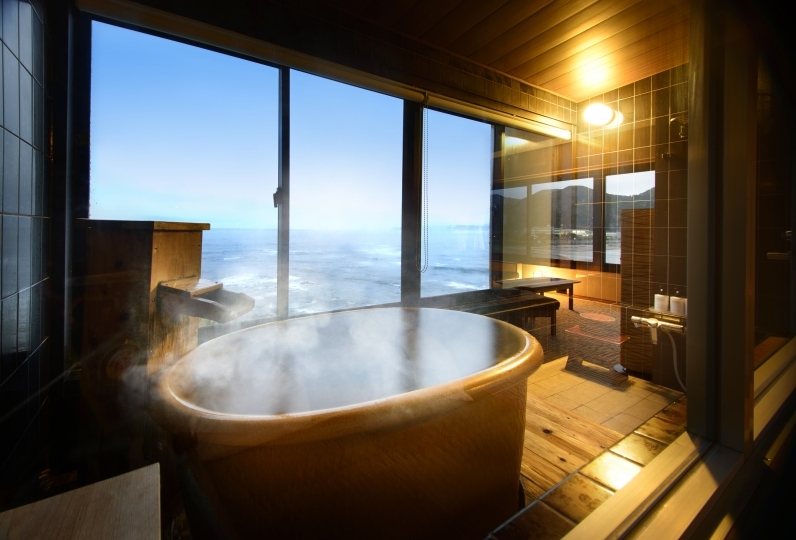 In addition to the large bath we also offer three reservation only outdoor baths: the spacious「Ten no Yu」and「Umi no Yu」that overlook the Pacific Ocean and the ultra private「Bengara no Yu」. Kamogawa Grand Hotel offers numerous facilities for an enjoyable stay such as the lounge with a view of the ocean from its large windows, "Bar Shirahae" where you can sip on liquors from around the world as you take in the view of the lit up ocean from the counter, the relaxation room,,to relax and refresh your body, thecrafting classroom, where you can make your own handmade crafts using sea glass and sea shells, "Ramen Corner Hamaji" for some late night dining, the "Suzuki Masajo Memorial Hall," and the outdoor pool during the summer.